Today's star is Michael Caine, one of the great movie stars of the last 50 years. TCM is celebrating the career of Michael Caine with 12 movies on Aug. 6. Here's what you need to know about one of the brightest stars of the 1960's and 1970's. FYI: TCM sometimes changes the air times and /or movies, so you can go to www.tcm.com to check the updated schedule. Born: March 14, 1933, in London. AKA: Maurice Micklewhite is a good name for a Dickens' character, but not for a movie star. Caine's original choice of stage name was Michael Scott, but that was already taken, so he opted for Caine, after the Humphrey Bogart movie, The Caine Mutiny (1954). Caine spotted the name on a movie theater marquee while he was talking to his agent in a phone booth. Academy Awards: Caine won two best supporting actor Oscars for Hannah and Her Sisters (1986) and The Cider House Rules (1999). He was nominated four times for best actor for Alfie (1966), Sleuth (1972), Educating Rita (1983), and The Quiet American (2002). Brief bio: Caine, the son of a fish monger and a charlady, grew up in London's East End during the Great Depression and World War II. Caine drifted into acting after a stint in the British Army during the Korean War. Caine mostly played bit parts on the London stage and in British movies before he got his big break as a snobbish officer in the action adventure film Zulu (1964). Caine became a huge international star after the release of Alfie, and he capitalized on his success by appearing in many movies -- some good, some bad -- during the 1970's. Caine moved into character parts in the 1980's and he earned great acclaim for his role as a jaded literature professor in Educating Rita and as Mia Farrow's unfaithful husband in Hannah and Her Sisters. Caine continues to be a sought after character actor, appearing in several blockbusters like the Christopher Nolan Batman movies and Inception (2010). Michael Caine in Get Carter (1971). 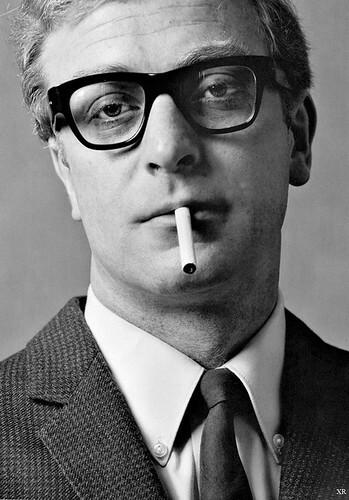 Fun fact: Caine received a knighthood from Queen Elizabeth II in 2000. Signature role: Working class womanizer Alfred "Alfie" Elkins in Alfie. 1. The Ipcress File (1965), airing at 10 p.m., is my most anticipated movie of the 2015 Summer Under the Stars. It's a great Cold War thriller with Caine as secret agent who has been handed over to the enemy. 2. The Man Who Would Be King (1975), airing at 3:30 p.m., is my favorite Caine movie. He and Sean Connery play a pair of dimwitted ex-British soldiers who take over a remote area of Afghanistan. 3. 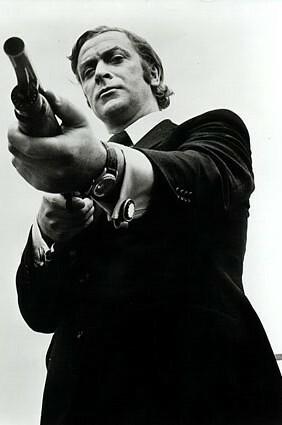 Get Carter, airing at midnight, is probably Caine's most influential role. His portrayal of a small-time hood who wants to avenge his brother's death has influenced many independent filmmakers and actors since the movie was released in 1971. A great film not featured on Summer Under the Stars: Zulu is a great action adventure movie, and Caine is quite good playing against type as an upper class officer. Video: Caine appears as the mystery guest on the game show What's My Line in 1966. His part begins around the 15 minute mark. Old Hollywood GIF: Michael Caine in The Italian Job (1969). My article on Caine's performance in The Man Who Would Be King for the Summer Under the Stars blogathon. For more Summer Under the Stars articles, go here. There'll be plenty more on Caine on social media. Follow me on Tumblr, Google+ or Pinterest or like us on Facebook. Follow us on Twitter @oldhollywood21.